We all live stressful lives. The hustle and bustle of day to day activities at times can leave us feeling a bit stretched too thin. Stress plays an important role in how we feel and interact with our friends, family, and colleagues. Leaving stress to become so ‘built up’ as it were can lead to further medical complications including headaches. It is estimated that about 80% of all individuals have experienced some form of a headache in one way or another(1). It is about understanding your symptoms to find the best treatment for your condition. This article will go over three different types of headaches (Tension, Migraine, and Cervicogenic) and then see how Hampton Physical Therapy can help. Tension headaches are the most common and usually the type that affects the majority of the population on a day to day basis(1). It is that constant “pounding” sensation that one may experience along their temple or even in the back of the neck. This type of headache typically is the result of increased stress which can cause tightened muscles at the base of the neck. Largely these can be managed with over the counter medication, ice, and reducing stress levels all are effective management techniques to reducing your symptoms. Next are migraine headaches which can often times be debilitating in terms of severity or longevity. Migraine headaches can be attributed to certain ‘triggers’ that develop over time, but largely their exact cause is unknown(2). The more common triggers include light sensitivity, noise levels, and even changes in the weather. These type of headaches are usually precipitated in the form of an ‘aura’ which foreshadowing of impending symptoms. Lastly are cervicogenic headaches which can often times be confused with tension headaches are their presentation is similar. These types of headaches present with decreased range of motion in the neck and joint pain ranging from the shoulders to the base of the skull(3). 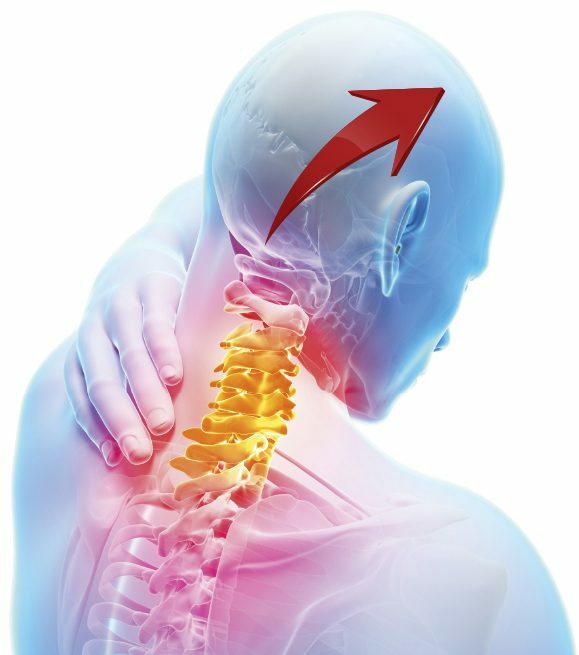 One aspect of these type of headaches is even a joint dysfunction of the spinal column can be the underlying cause(4). An interesting specific feature of this type of headache is that they are usually one sided in origin(5). Meaning that its presentation is one where it feels as if it radiates from the base of the neck and wraps around in a crescent pattern towards the eye. In the end, it truly depends on what type of headache you have and how to find the right treatment. A thorough evaluation by a primary physician or a physical therapist can be the first step in the right direction. 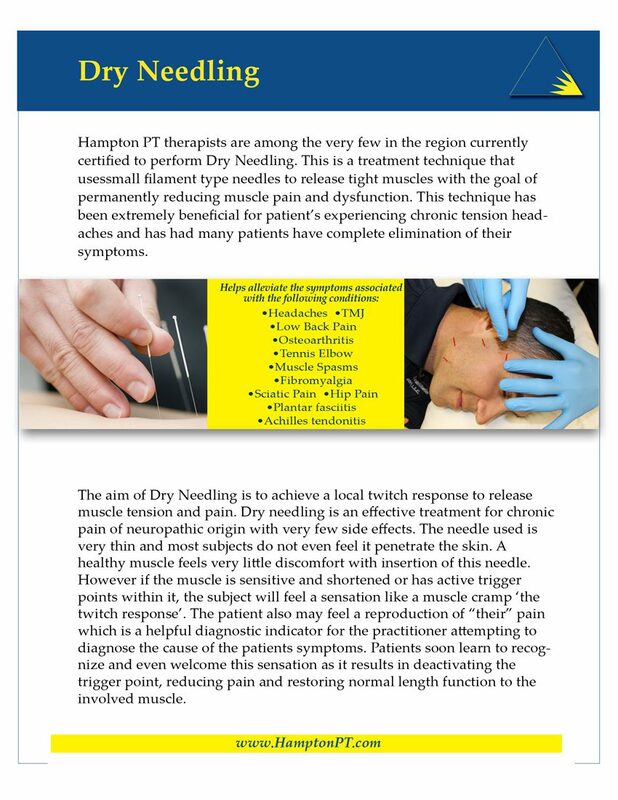 Each therapist at Hampton Physical Therapy is trained in various techniques including the latest research based treatment of cervical manipulation (similar to chiropractors) and Trigger Point Dry Needling to reduce or eliminate headaches and related symptoms.